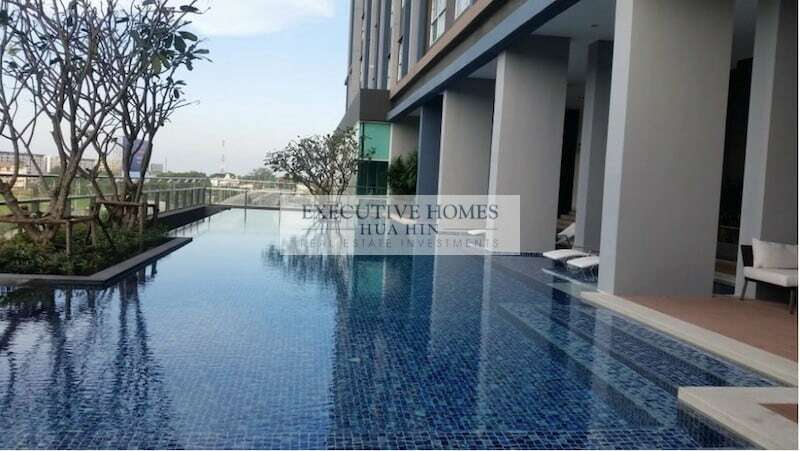 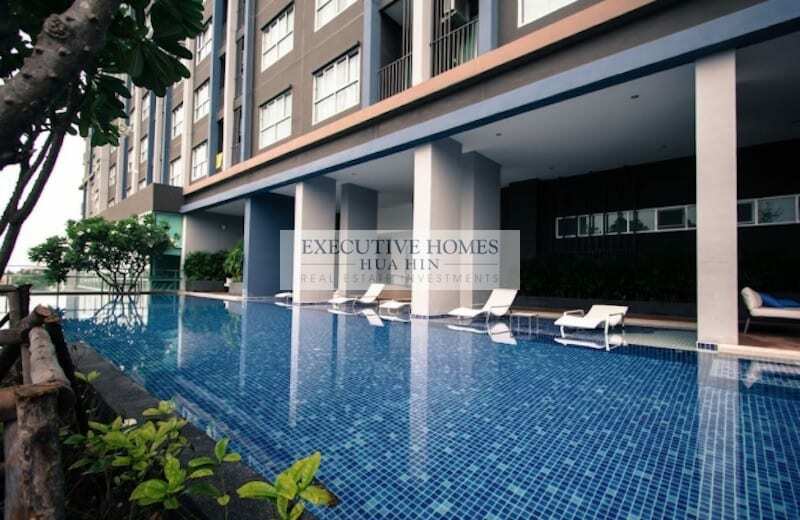 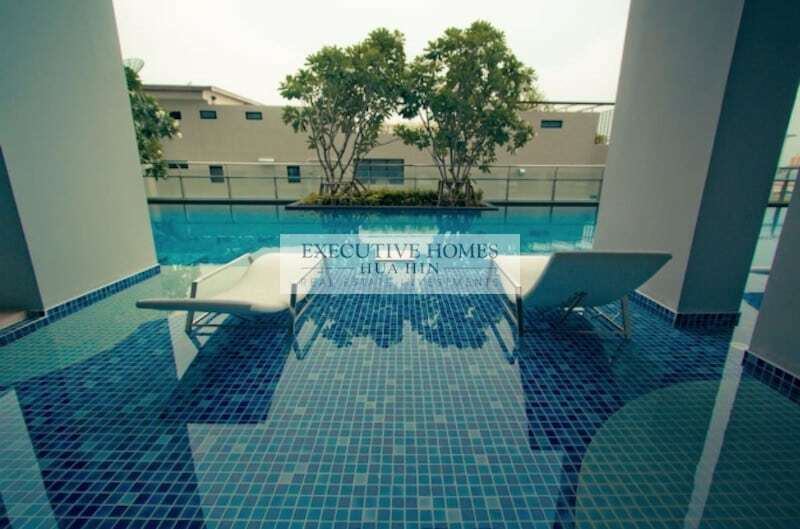 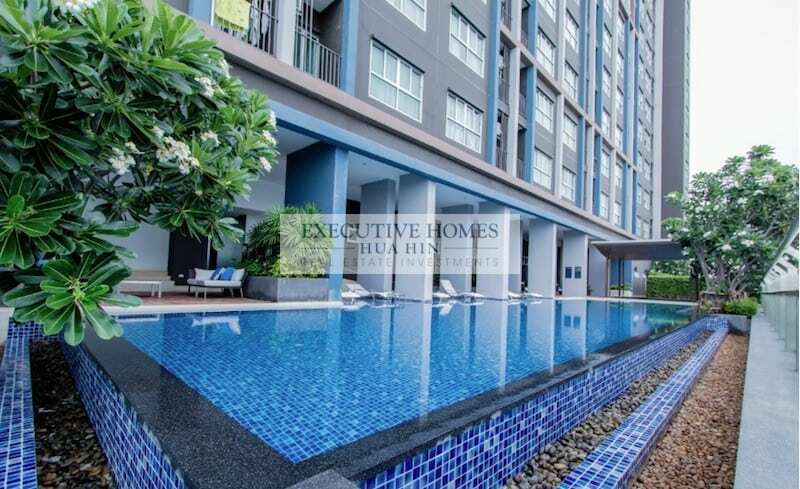 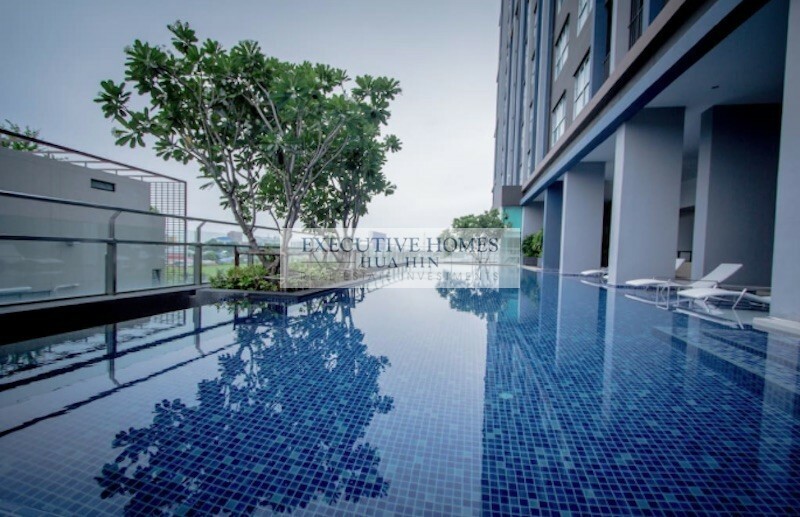 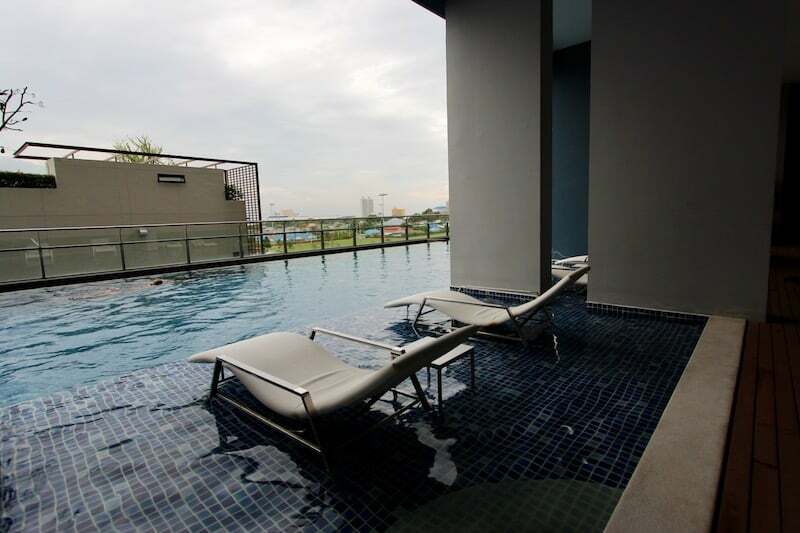 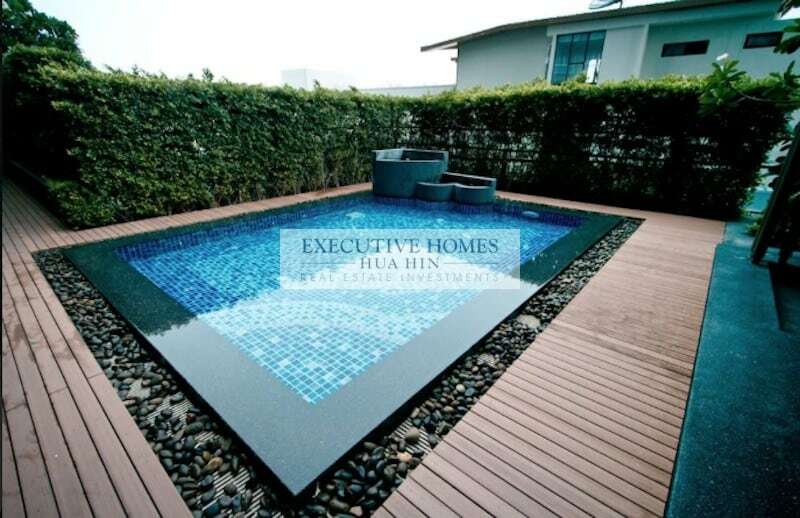 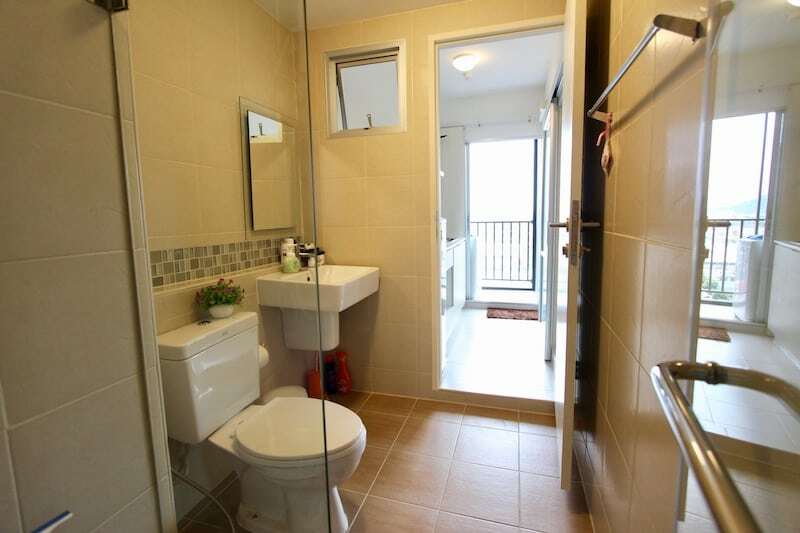 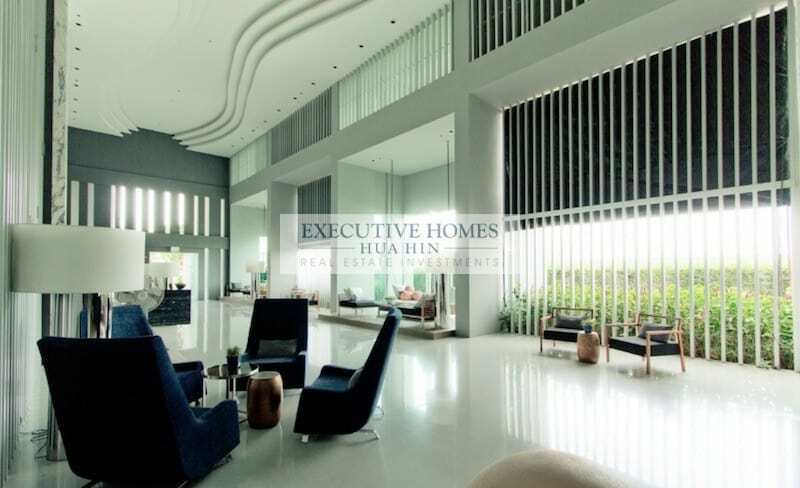 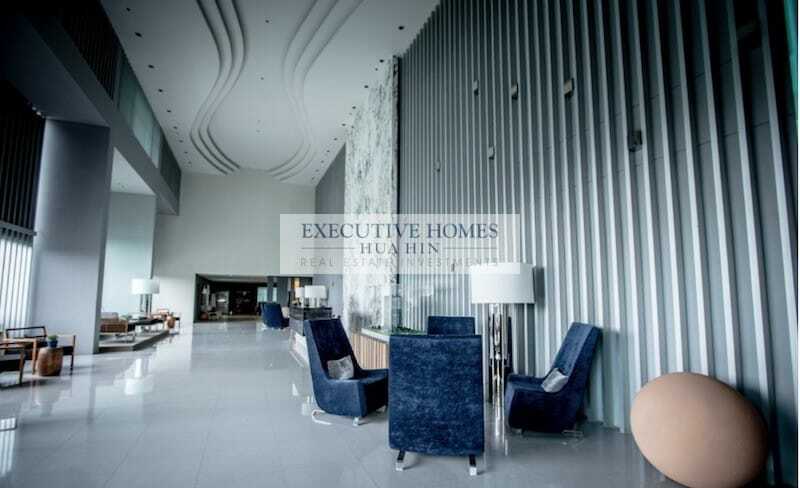 This is a Studio Condo For Rent In Central Hua Hin Near Everything – With Sea Views! 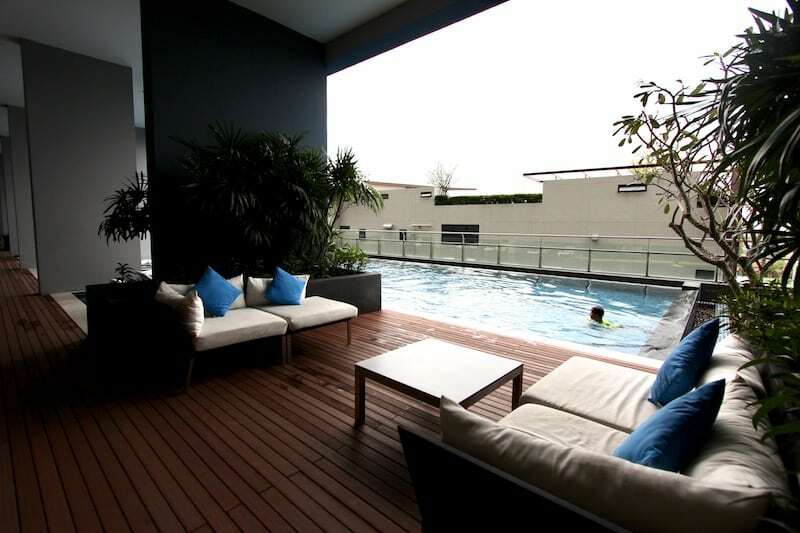 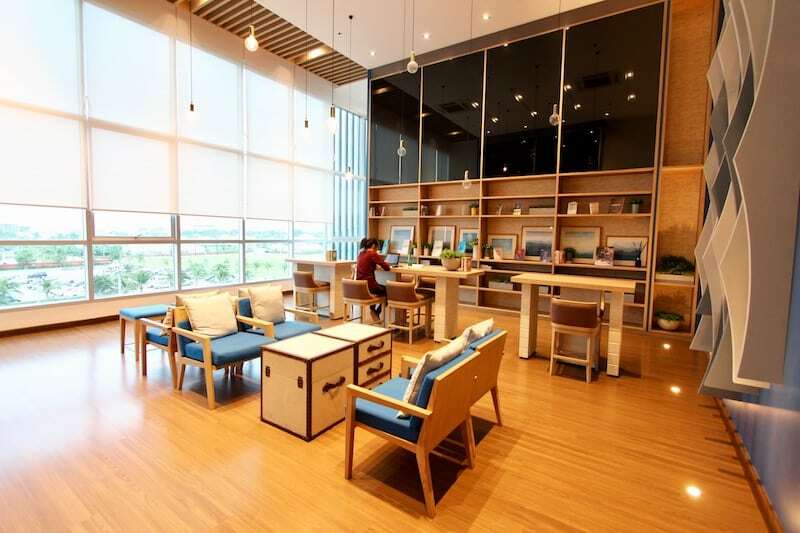 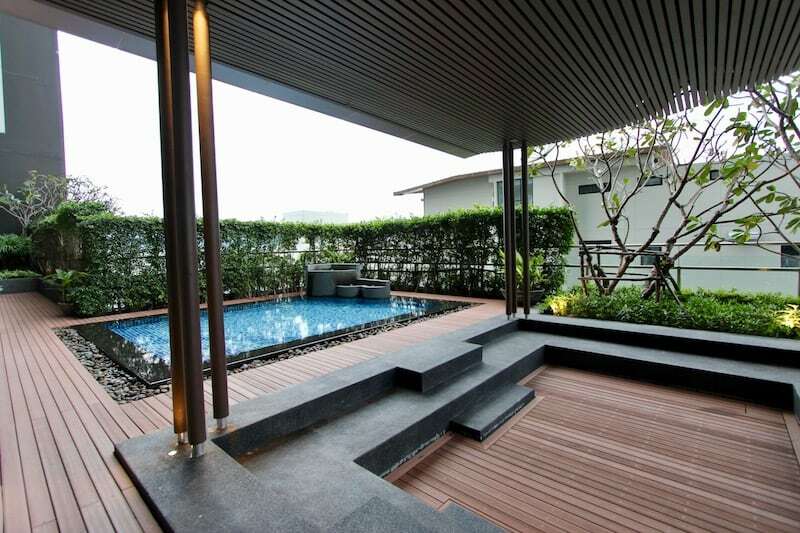 Sansiri Development is one of Thailand’s most well-know luxury condo & property developers. 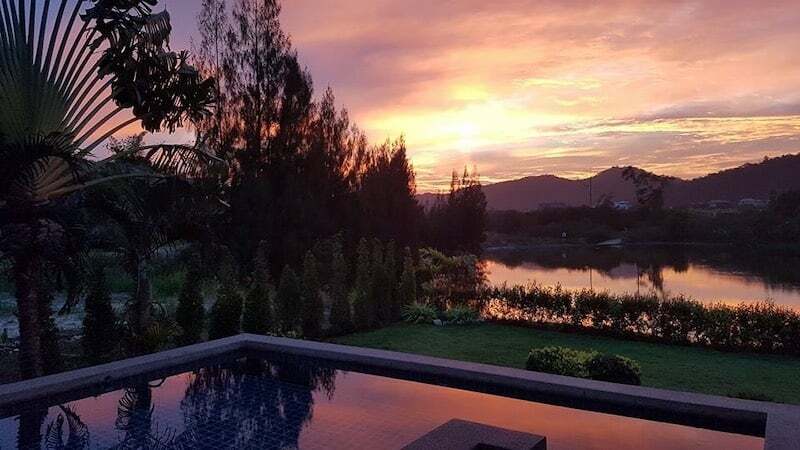 The Sansiri property management team is known for high maintenance standards and keeping their luxury properties looking great year round. 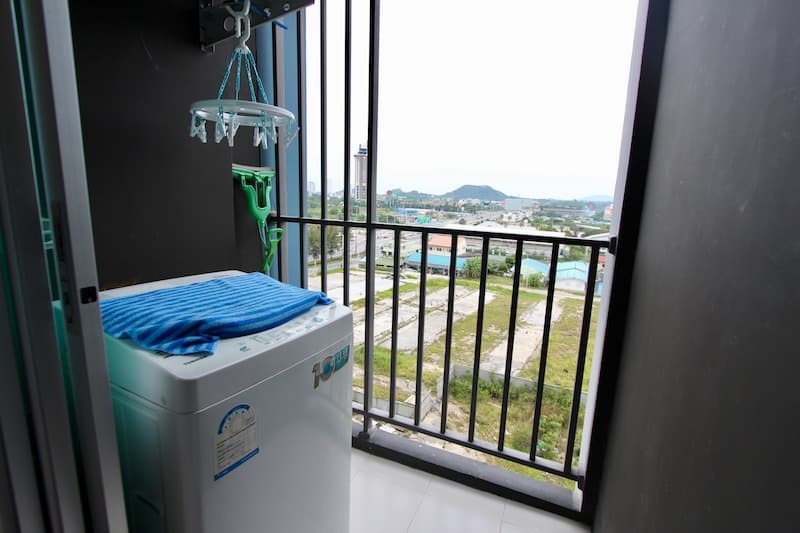 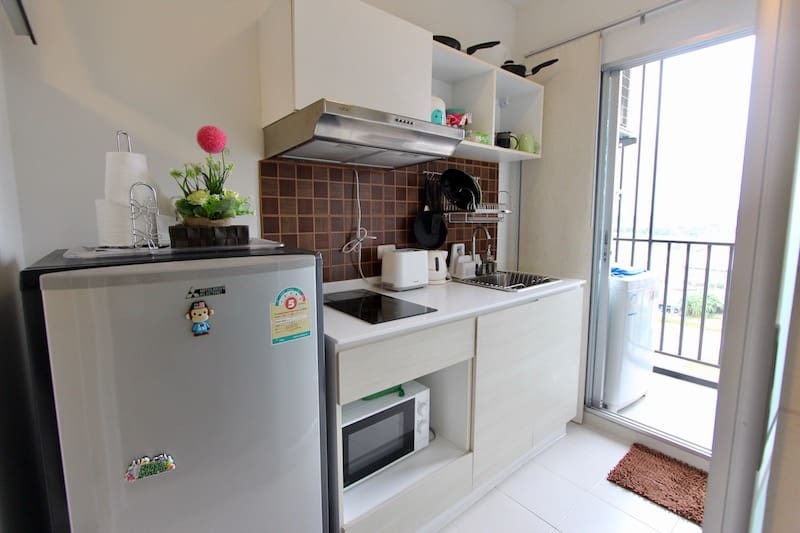 This studio condominium unit consists of a large open-plan living room; an efficient, modern kitchen; and a balcony with a private washing machine. 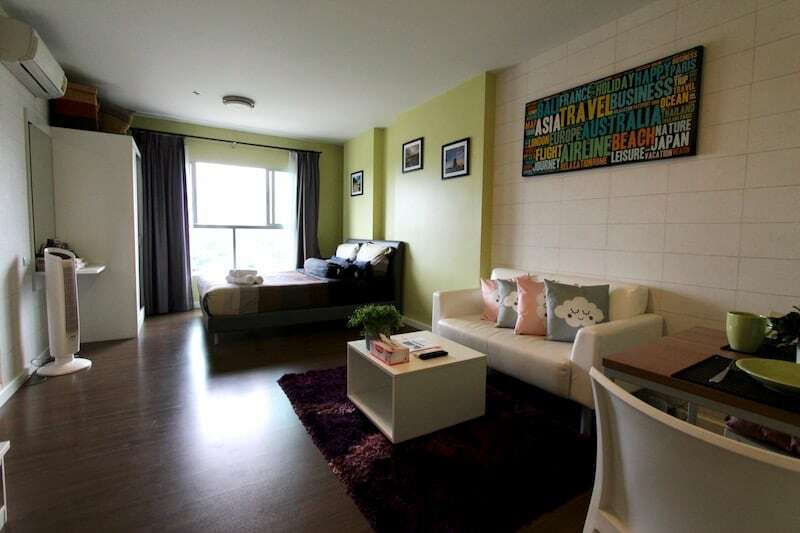 The unit is fully furnished with high quality, comfortable furnishings. 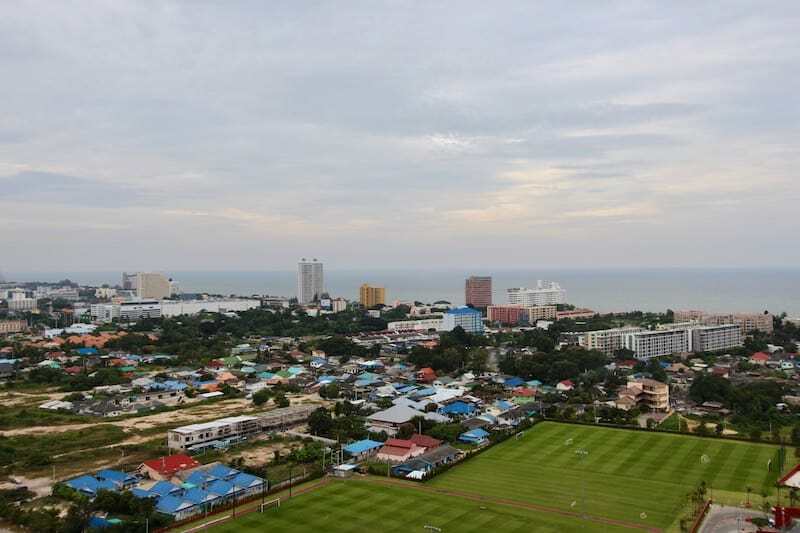 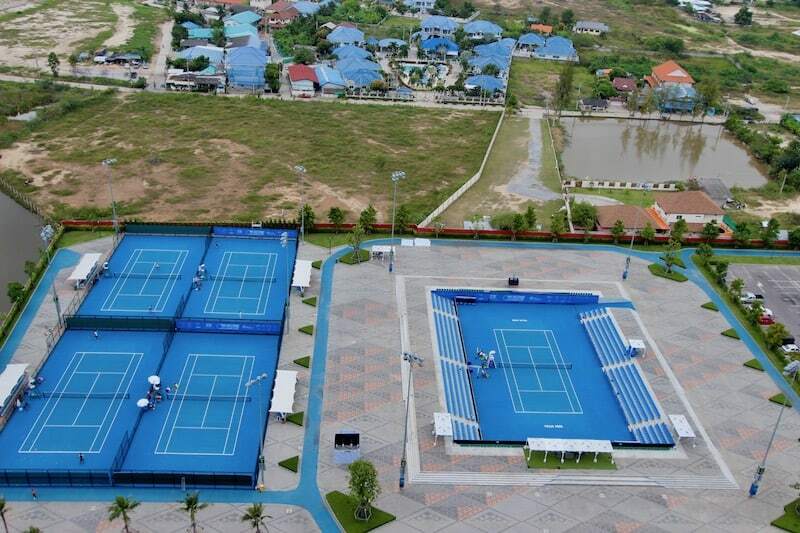 There are great views, both of the mountains to the west and the gulf of Siam Hua Hin beach to the east. 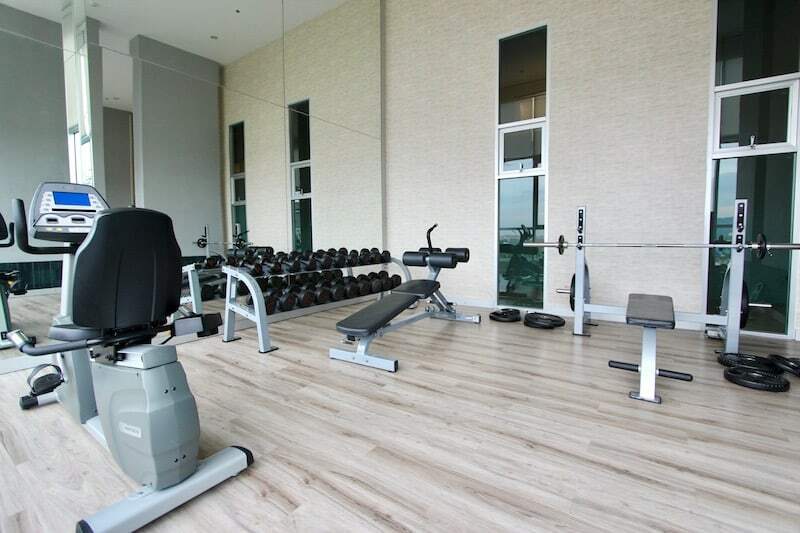 The condominium development features a fully equipped fitness center, a beautiful library and games room, a kids’ play area, and a long salt-water swimming pool with a separate kiddie pool. 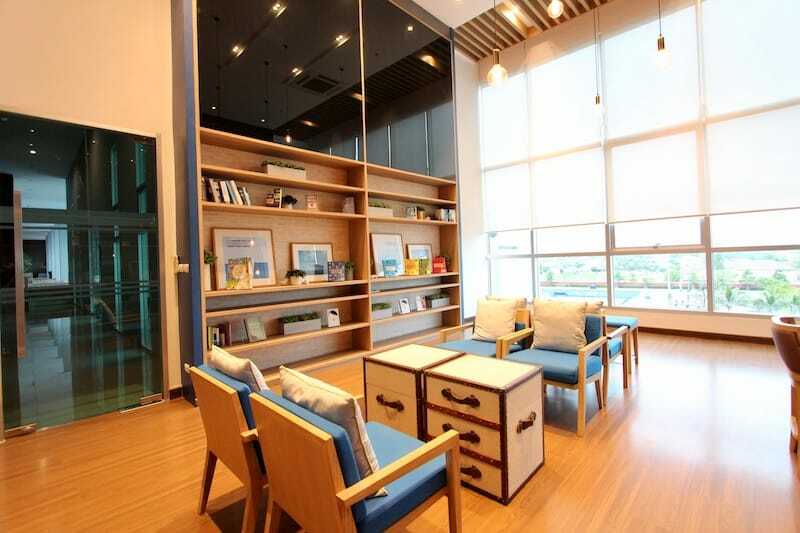 Other features also include a community garden and family recreational center. 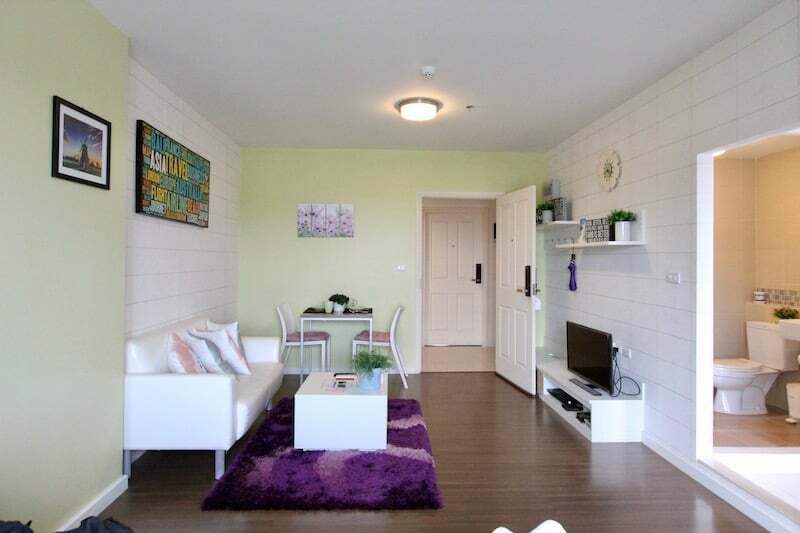 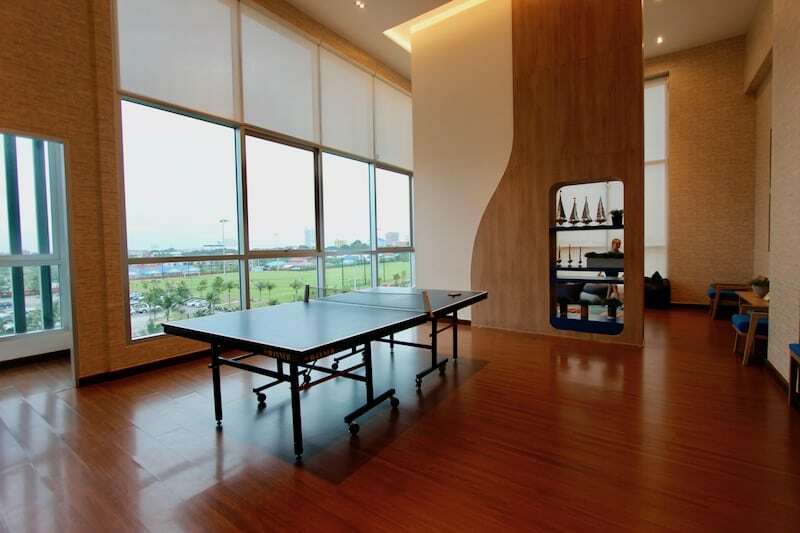 There is high-speed internet throughout the entire condo plus a dedicated internet line at the unit. 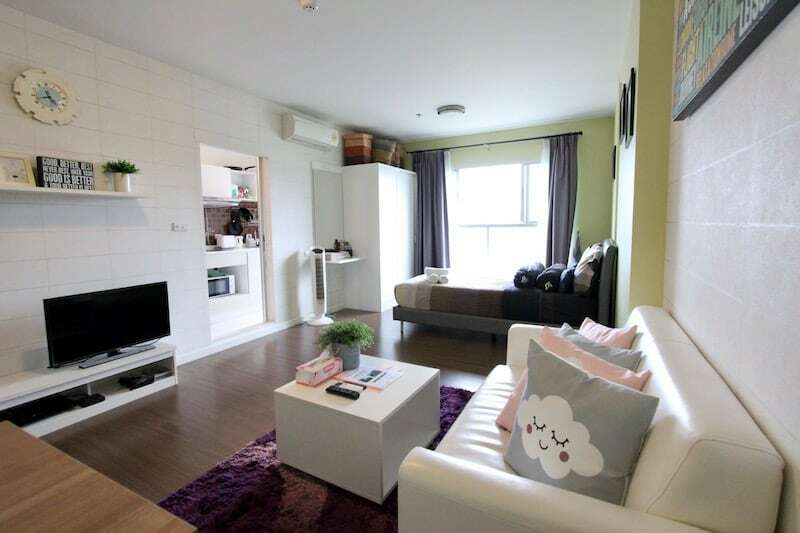 The unit also has cable TV with international channels. 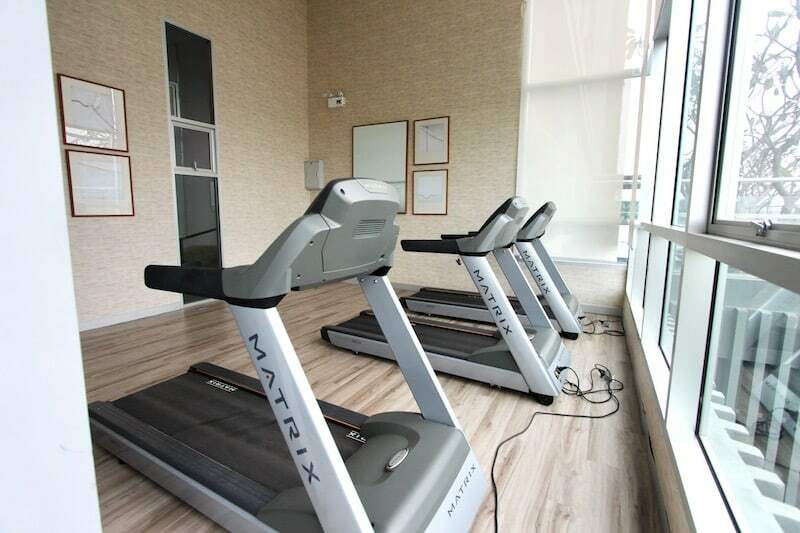 There is full 24 hour security with electronic key card access for added safety.